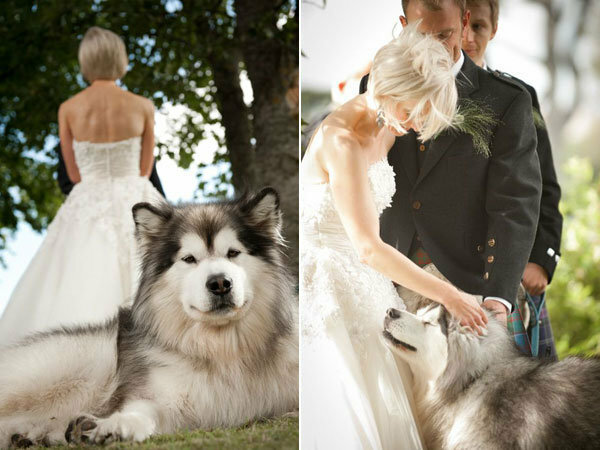 One wedding trend I’m seeing more and more: A couple’s furry friend taking part in the ceremony. I happen to love when pets are involved in the processional of a wedding, and I’ve actually done several weddings that included dogs. One of these featured a pair of pugs dressed in a bridal gown and tuxedo, respectively. Adorable! 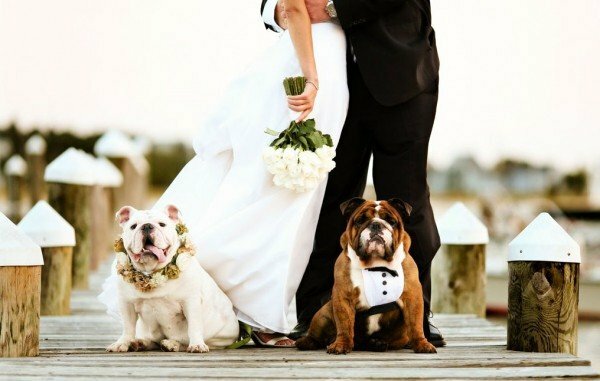 Other weddings had the pups serve as ring bearers, strutting down the aisle with satchels in their mouths containing the wedding rings. But one caveat: Although this idea is super cute, I strongly advise that you don't put the real rings in the satchel! During the ceremony, the groom can always pretend to remove the rings from the satchel, all the while having them safely stowed in his pocket. 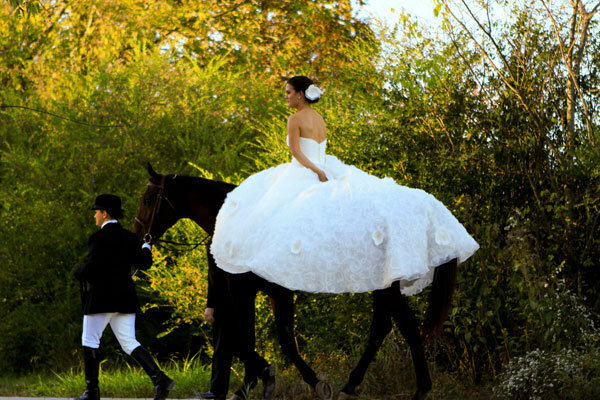 That being said, I feel it really needs to make sense to have a pet at your wedding. If you're known for being a devoted animal lover or for always treating your pet like a member of the family, then go for it. But if you’re just including a dog to add to a cast of characters or to stir up a little excitement, then it's not so appropriate — and may even result in unnecessary chaos. The bride and groom should not walk their dog down the aisle. Someone else needs to be in charge of handling your pooch(es). 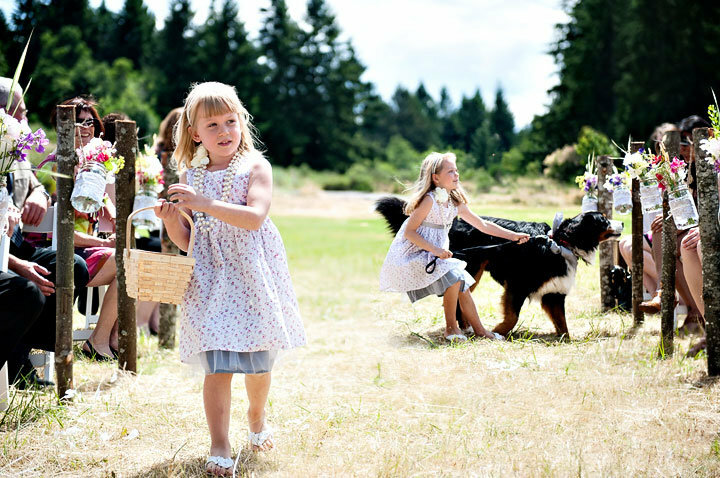 Once the ceremony starts, your four-legged friends should be quietly whisked away by an usher. As cute as they are, dogs are simply unpredictable. At a moment’s notice (and especially in unfamiliar settings), they can start yelping, stop to relieve themselves, or get spooked and run off. It’s also worth noting that the dog at your wedding should never outshine the bride and groom who need to be front and center — not Fido! Dogs, cats, and even horses can be wonderful, memorable additions to a wedding — and with proper planning, including your pet won’t leave you feeling like you’re in the doghouse on your big day.